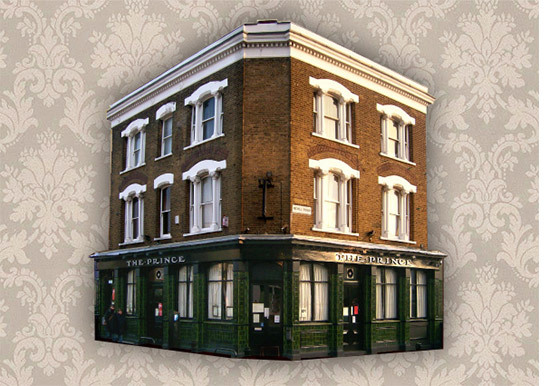 Located just off trendy Church Street in Stoke Newington, London, and renovated in 2007, The Prince is a relaxed, informal neighbourhood pub, providing delicious meals and a good selection of wines, beers, ales and ciders. We have seating available outside at the front of the pub, and also in a beer garden at the side, and extra restaurant seating alongside the beer garden. We have a private function room upstairs available for hire at any time. You can also hire the whole pub or restaurant for weddings and events. Comedians, musicians, societies and groups, we’re looking for you! Please contact us if you would like to use our function room for an event or meeting.